Table tents may look simple and unsophisticated as they adorn the tables of bars, restaurants and coffee shops, but these popular marketing tools have unique printing demands. In order for them to serve their intended purpose, they must be sturdy, visually appealing, and vibrantly colorful. Not just any trade printer will suffice, because you never want to provide your customers with table tents that fail to catch the eye. As an advertiser, designer, or other print retailer, you have a responsibility to provide your customers with a product that will bring out the best in their business. At Color FX Web, we can provide you with exactly what you need, with our wholesale table tent card printing. At Color FX Web, we offer an array of stunning table tent printing options that are as flexible and durable as they are attractive. 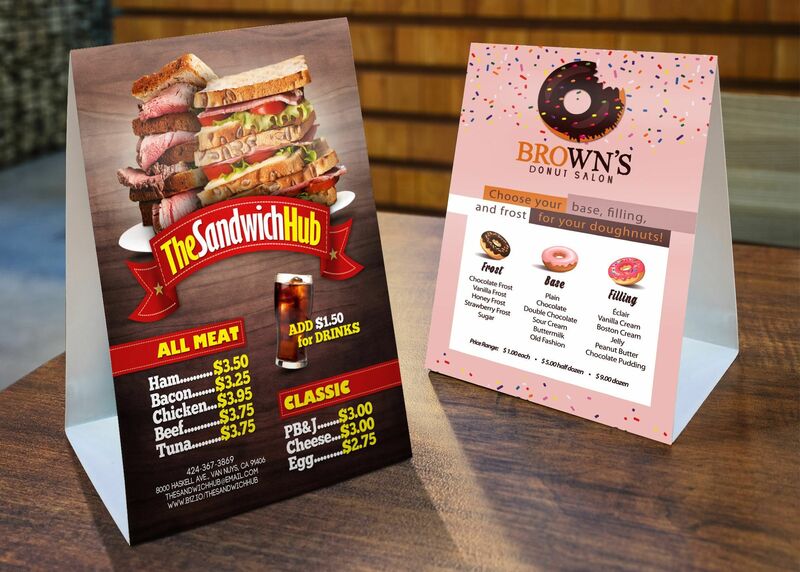 We offer full bleed printing, your choice of dull or glossy coating, and die-cutting based on your specifications, and we also offer an array of design templates if you or your customers should need assistance coming up with the perfect look. For custom design and printing inquiries, please give us a call to get in touch with one of our friendly customer service representatives. We will gladly assist you in any way that we can. We understand that you have a lot of options for wholesale table tent printing, and at Color FX, we work tirelessly to be the best. Over the years, our superior printing has been recognized by the Print Industry Association of Southern California, the Premier Print Awards, and other leading print authorities. We have an A+ rating with the Better Business Bureau, and perhaps most importantly of all, we believe that your needs are our number one priority. We cater to our customers by using the latest, most sophisticated printing equipment, and by going the extra mile to build relationships. When you register and place an order with us, we’ll assign you a personal account representative who gets to know your business and your needs. Your representative will be there to answer all of your questions, offer guidance, and assist you throughout the ordering process. For each future order, you will work with the same account representative, so that you will always get the kind of knowledgeable, personalized assistance that you deserve. 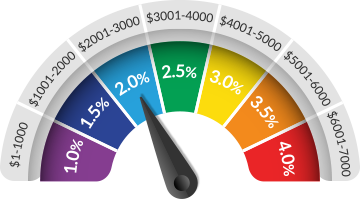 To learn more about pricing and options, we invite you to register on our site. You can also reach us by phone if you have any questions or concerns. We look forward to meeting your needs and working to build trust and loyalty between you and your customers. For the best in wholesale table tent card printing, choose Color FX Web. Small: Printed on variety of Cardstocks & Coatings. Cut to 4.25" x 6", Die cut to Table Tent. Medium: Printed on variety of Cardstocks & Coatings. Cut to 5" x 7", Die cut to Table Tent. Large: Printed on variety of Cardstocks & Coatings. Cut to 4" x 8", Die cut to Table Tent.